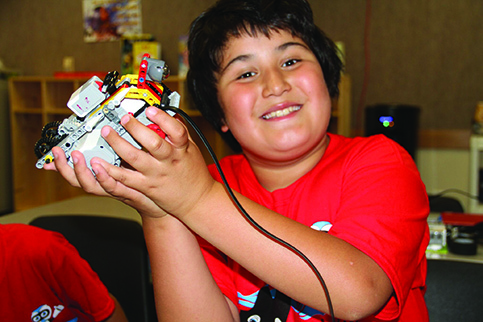 Located behind the Tulalip Boys and Girls Club, a group of young Tulalip summer school students occupied one classroom in each of the three Tulalip Education Department buildings during the week of August 6– 10. Separated by age, the kids intently worked behind laptops as they constructed a series of robots, programing them to move and perform tasks. The youth had so much fun in fact, they got lost in the LEGO robotics software and forgot they were in summer school learning about science, technology, engineering and mathematics (STEM). 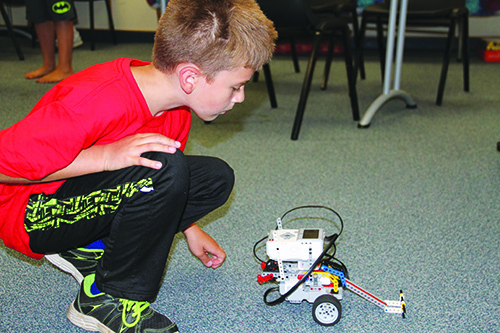 After two successful years of STEM ROBOTICS week, the Tutoring and Homework Support Program of the Education Department once again reached out to Kathy Collier and her team at Robotics.how.com to bring the fun, hands-on learning experience to the students of the summer school. The students are split into three groups based on which grade they will be entering at the beginning of the school year; kindergarten through second grade, third through fifth grade and sixth through twelfth grade. The students began each day with a new science experiment and assembled their bots in the afternoon. Through a set of commands on their laptop, the kids are able to control their bots. While the older kids created one spider-bot that they worked with throughout the week, coding it to make directional choices, both younger groups assembled a number of robots. 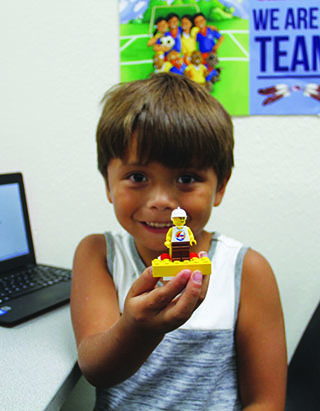 The youngest group built lions, monkeys and airplane robots and the third through fifth grade students invented both rolling EV3 robots as well as a dog robot. 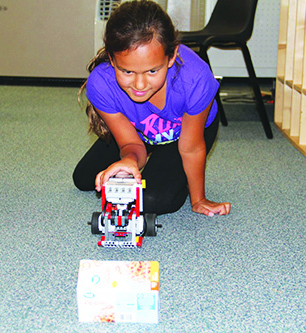 “This entire week we’ve made a bunch of different little LEGO robots and took them apart because that was our practice for programing, it’s been a lot of fun,” said Alexis Bowen while putting the finishing touches on her bot. Tulalip Youth Employment worker, Quintin Yon-Wagner, attended the camp to assist the Robotics.how.com team during STEM week. Quintin, who will be a freshman this year, also built a spider-bot and used it to race his fellow peers through an obstacle course comprised of text books and wastebaskets. “This past week has been amazing because we’ve learned so much,” states Quintin. “Starting with programming the computer and learning how the Bluetooth connects with the robots that we made out of LEGOS. The building process takes some time but the benefits that the students take away and how much you learn about programing is amazing. But this isn’t just about programming, it expands on different, new ideas like artificial intelligence and machine learning. For additional details please contact the Tulalip Tutoring and Homework Support Program at (360) 716-4646. 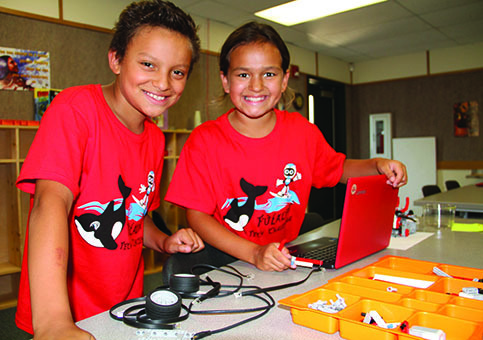 This entry was posted in Education, News, Tulalip News and tagged STEM, Tulalip, Tulalip Tribes by Kim Kalliber. Bookmark the permalink.